Minnesota Statutes § 103D.625, Subd. 4 requires a watershed district to be the drainage authority if a new ditch is built or an improvement project is done. 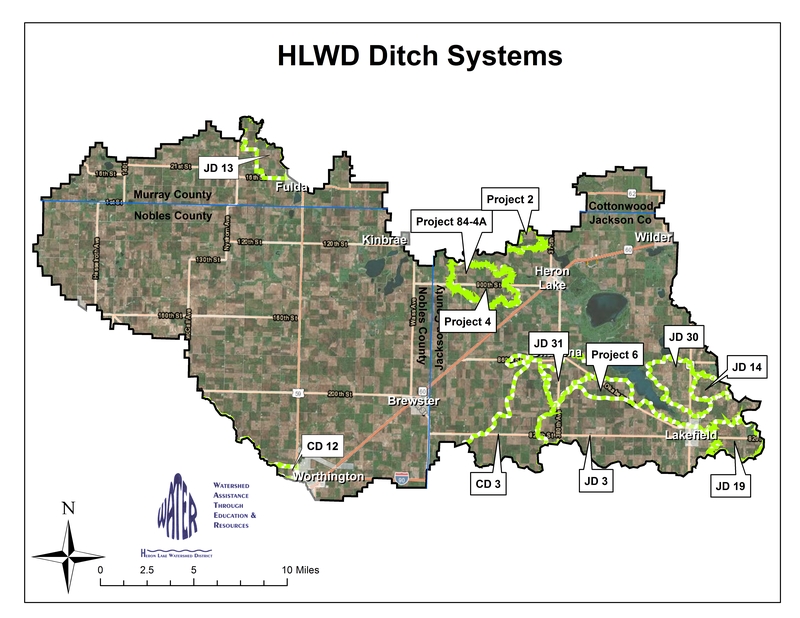 Because of this, the HLWD is the drainage authority for several systems in Nobles, Jackson, and Murray Counties.